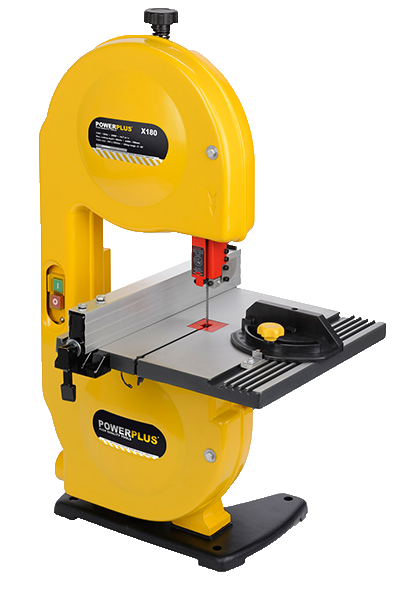 POWERPLUS BAND SAW 350W POWX180: Whether you want to make furniture, are a model builder or take interest in advanced applications, then this Powerplus band saw is the thing for you! It has excellent parallel guides ensuring that any work is done correctly and precisely. The safety switch and a quick-release lever not only provide for more safety but also offer more comfort during work.